Upon returning home from a long journey, Princess Arianna can hardly recognize her own kingdom. The Dark Witch Morgana has enslaved everyone with an evil spell, and it's up to Princess Arianna to save the people! Use the Royal Amulet and create magic spells to aid you on the your quest as you travel to faraway Kingdoms and meet new friends. Help Princess Arianna save her kingdom and defeat the Dark Witch before it's too late! 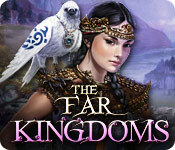 The Far Kingdoms is rated 3.1 out of 5 by 82. Rated 5 out of 5 by howiepeggy from genius!!! I love everything about this game!!! Rated 5 out of 5 by Forestdog from It's a lovely lovely game I thoroughly enjoyed this game. Yes it was a bit short, yes the music was annoying and the ' tra - la ' fanfare you got everytime you found a useful object almost drove me nuts but that said, it was a great way to spend a few hours. Personally I didn't think there were too many HOG's but then I'm a fan of them anyway. The storyline was the typical 'save the kingdom' but it was a varied fun trip doing it. The match 3's were fun and quick and if you got stuck in the game both the hint and skip button saved the day. 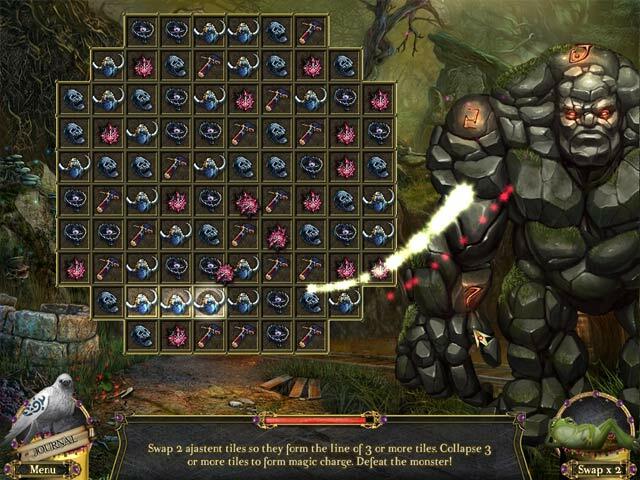 Rated 5 out of 5 by chronicgamer from good but frustrating so this game had a good mixture of match 3 and hidden object but the match 3 portions were very, very long and sometimes a big pain! The storyline was good and the rest of the game fun. Rated 5 out of 5 by lizhger from Too Short Very interesting it's a combination of several different games. My only complaint is it was over too soon. The story line could be a lot longer and more complex, if you continue the story line, make the next game longer. Rated 5 out of 5 by denniann2 from i enjoyed this game played casual, low sound. a mixture of HO and M3. a good game. kind of short, though. not hard at all. i had to think a few times and got stuck but i just thought and thought. i figured it out. the journal helped.i did have to go to the forum to check for answers a few times. Rated 5 out of 5 by jcsgame from Relaxing/Fun Game Excellent graphics along with beautiful scenes. 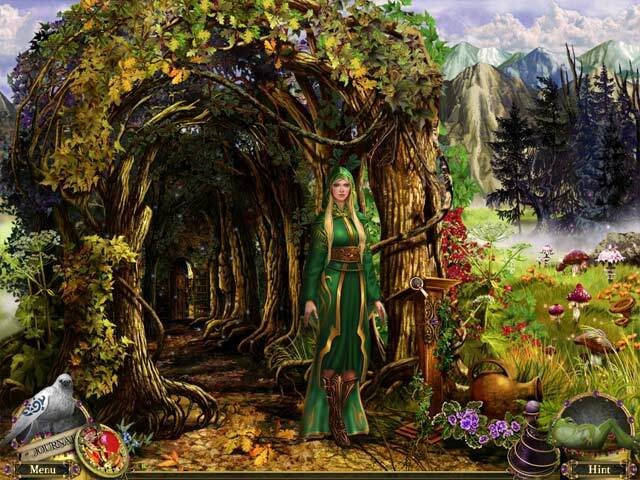 There is a nice combination of Hidden Object searches and Match-3. You will also search for and pickup objects along the way. Mini-games are another feature of this game. You really don't need a Walkthrough, the Hint setup works pretty well. This was a very enjoyable/relaxing game. Rated 5 out of 5 by Darklldo from Too short Just as I was really getting ready to settle in for a couple of hours entertainment, it was over :( A nice selection of games, including card, shape finding and drop 3… I enjoyed it. Nice graphics too. Just wish the game had gone on for a while longer, it certainly had the potential to do so. 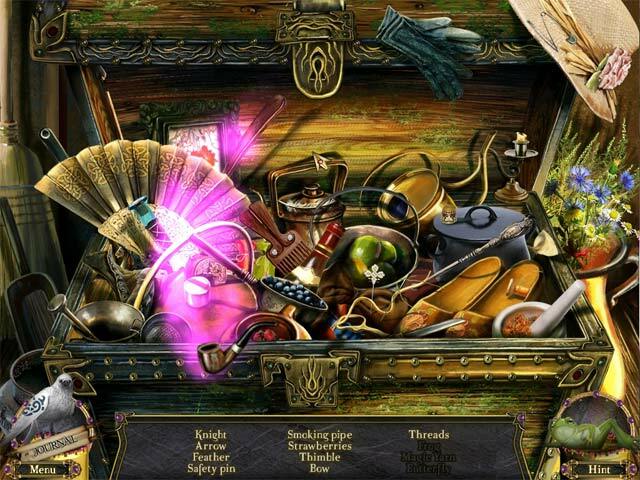 Help Princess Arianna save her kingdom and defeat the Dark Witch in this clever hidden-object adventure and match-3 game.